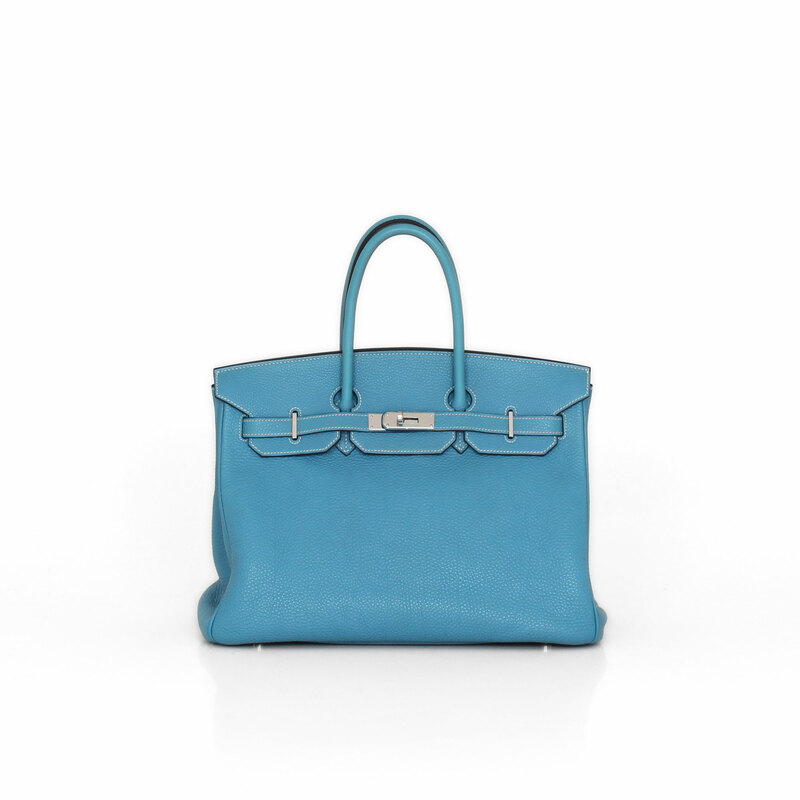 A wonderful Birkin bag 35 by Hermès with soft and resistant Fjord skin in a fresh color as theTurquoise blue is. 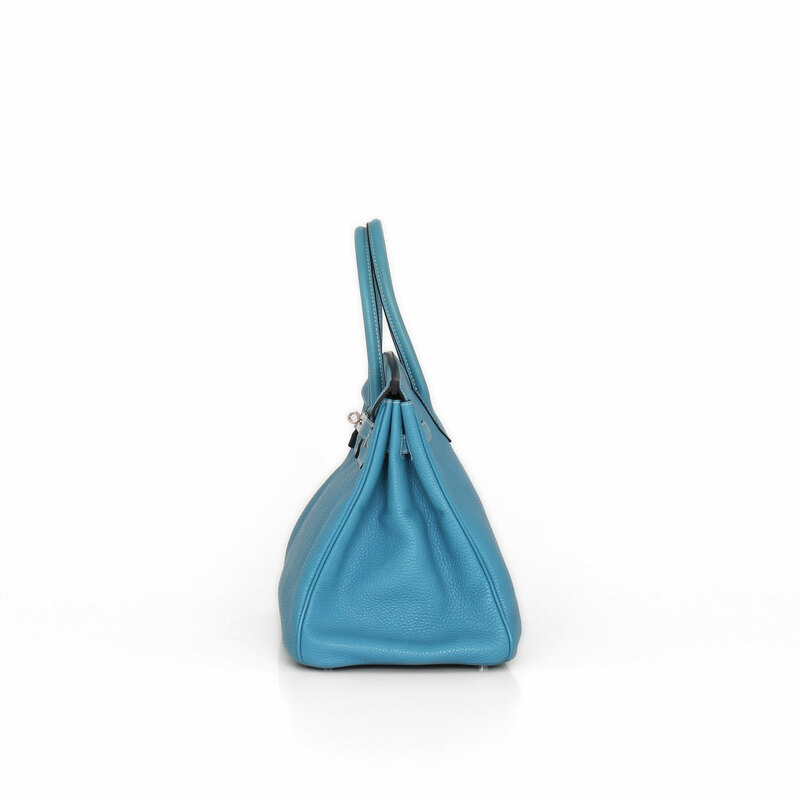 A bag that will give an elegant touch to your most casual outfits. 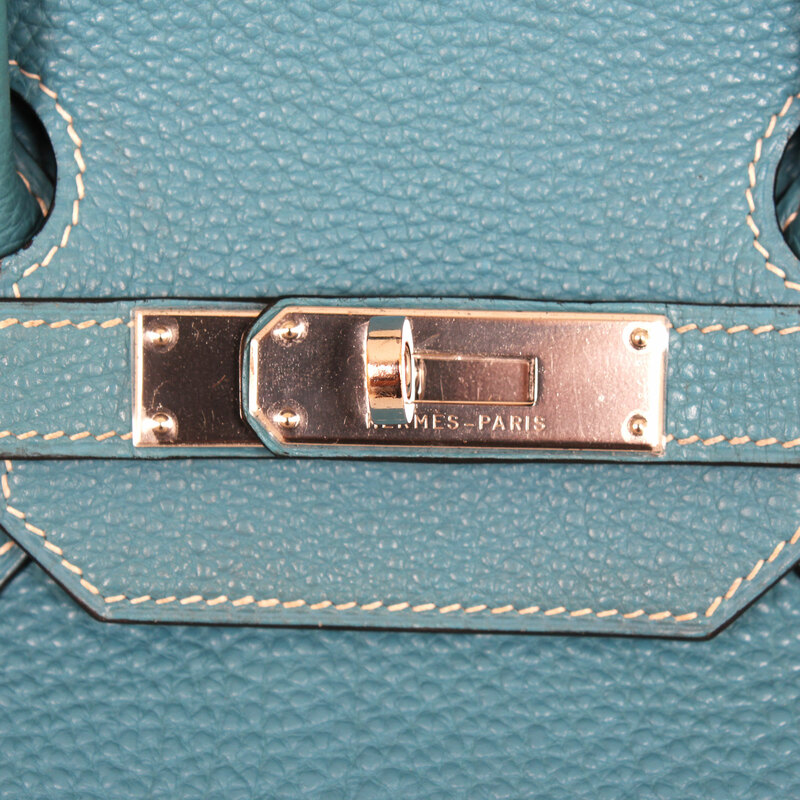 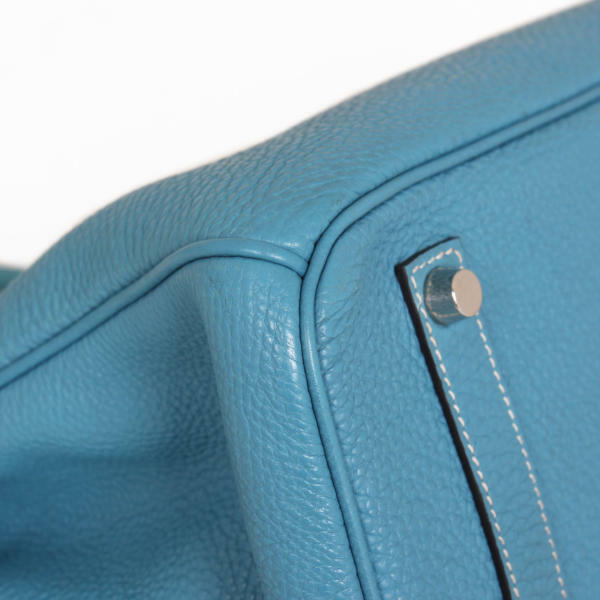 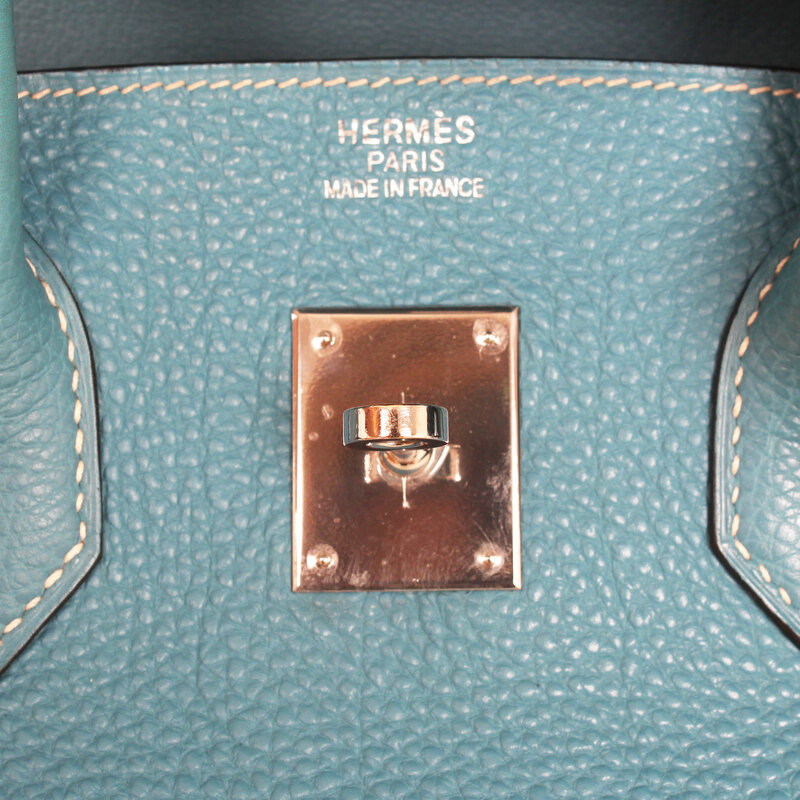 This classic Hermes Birkin bag 35 is made of Fjord skin in Turquoise blue color combined with palladium hardware. 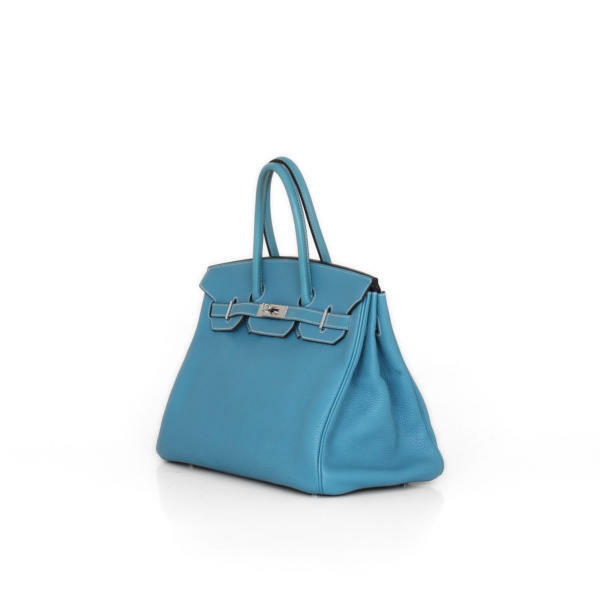 The fjord leather of this Birkin bag 35 has a very soft texture to the touch and the outside is completely water resistant. Like all of their kind it features the triangular shape, the flap with three partitions and strap clasp, double handle and reinforced bottom with metallic feet. 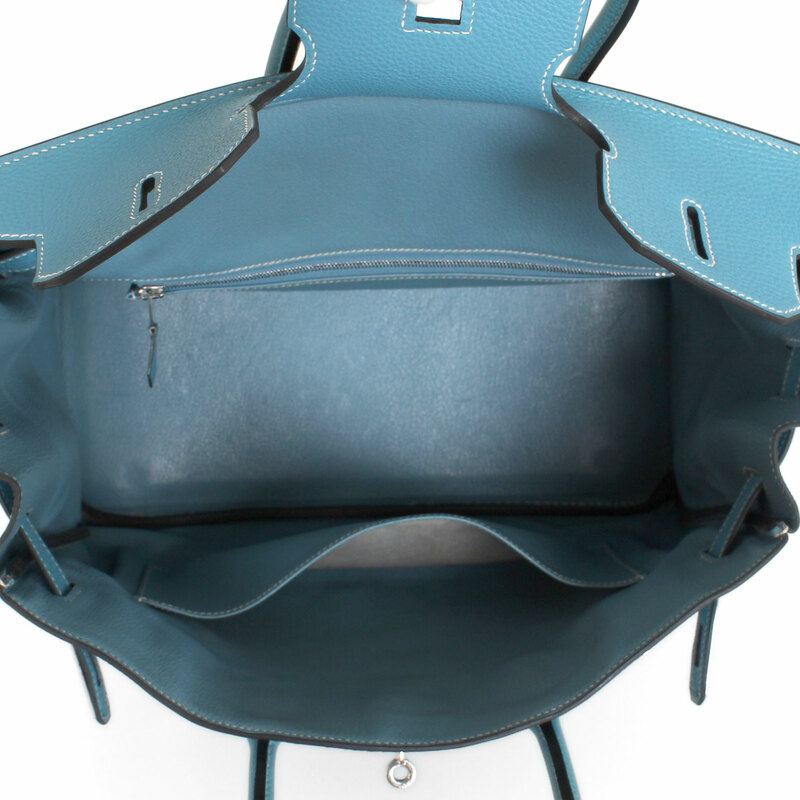 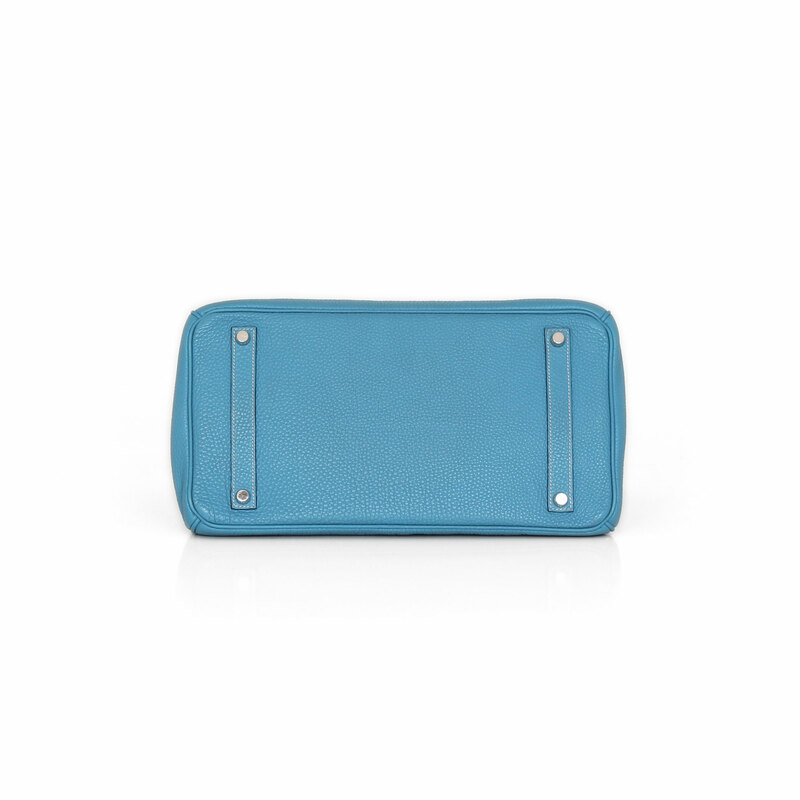 The interior, crafted of tonal goatskin leather, includes a wall pocket and a zippered pocket. 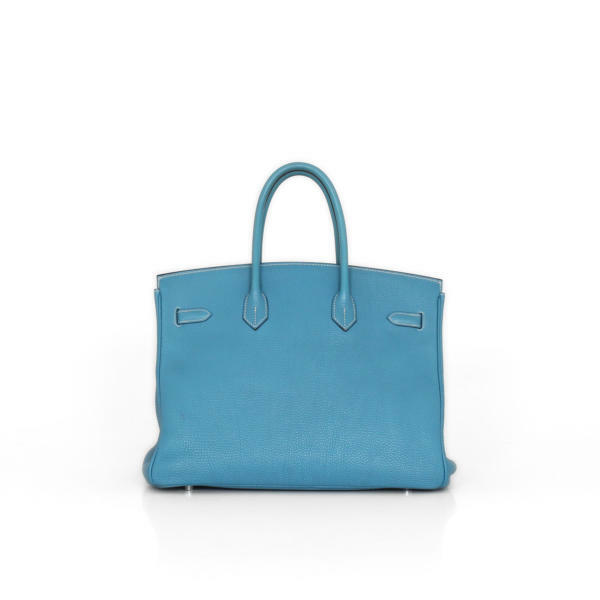 In CBL Bags we are experts on the purchase and sale of luxury bags. Contact us! Details: It has a name on the inside flap and initials on the clochette. 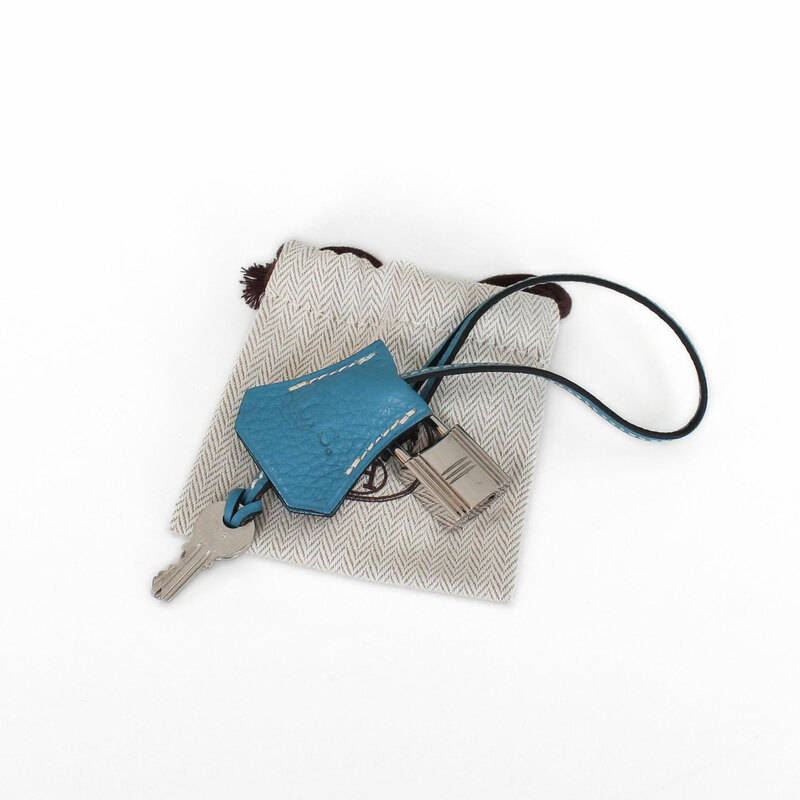 Preserves protective plastics in hardware.